The iOS App Store is stuffed with a plethora of quality games, but seldom does a title come along that continues making its presence felt on our iPhone and iPads. The app in question today fits that description pretty well and as such retails for $3, that is till now. The app can be grabbed totally free of cost for a limited period courtesy of Apple’s Free App of the Week initiative. 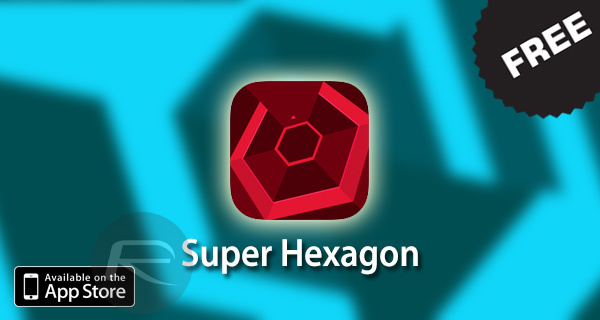 Those into simple yet impossibly challenging games on their mobile devices would be well familiar with Super Hexagon, the popular minimalistic game that has managed to find traction on not just iOS devices, but is available on the Windows, Linux, OS X, BlackBerry 10, and Android platforms. Given this diversity of supported platforms, you can well imagine how popular the title is amongst fans. 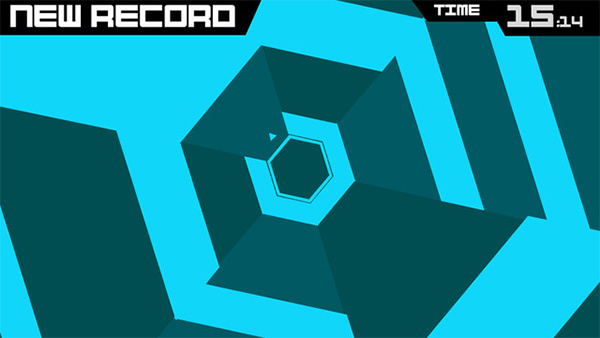 For the uninitiated, Super Hexagon puts you through a spin – literally, where you try to save a minuscule pointing arrow by moving it around a hexagon, as surrounding boundaries close in on you. Sounds simple no? Well it is, but it’s not in anyway a feat that you can manage for more then a few seconds. The game’s entire purpose seems to be hanging on the fact that you will keep coming back trying to break your highest score, or maybe a friend’s. The restart is pretty quick, so its one of those games that you can instantly jump back into action within a few seconds at best. Simply put, be prepared to put your mind into hyper-drive and consequently be infuriated when you crash into a wall. Controls are as simple as a tap on the left or right side of the screen, and if you’re lucky enough you may just start remembering, and even understanding the patterns that ensue every time you retry – which will be often. 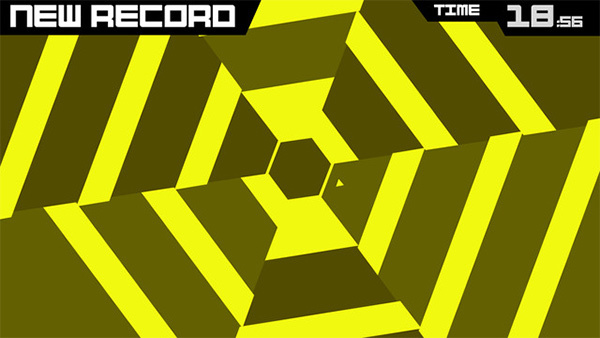 If you thought the sheer speed of the game was what made Super Hexagon challenging, the hypnotic retro-styled graphics will put your hand-eye coordination to the ultimate test. The game is visually stunning nonetheless and the music running in the background will all make for an immersive gameplay experience. So what are you waiting for? Head over to the link below to grab a free copy the game while the offer still lasts. Wow… A redmondpie article never made me waste so much time… I can’t stop.